the havoc that the wealthy wreak | What's that you said? Another must read on Brexit. It’s embarrassing, trying to explain Brexit to Americans. It’s like trying to explain wildfires to people whose houses are underwater. Given that Americans have their own political horror show to watch through their fingers as their faith in humanity fizzles, they may well wonder why on Earth they ought to pay any attention to the crypto-nationalist omnishambles happening across the Atlantic. Isn’t it essentially just the same as the American omnishambles, except on a BBC budget, with more subdued special effects and a lot of squashed-looking posh people pretending to know what they’re talking about? Well, no, it’s not quite the same, and yes, it’s worth your attention. Here’s why. Brexit Britain is an object lesson in how a modern nation fails. It’s the last act in a familiar unhappy marriage plot, with ruthless neoliberal economic orthodoxy wedded to the genteel thuggery of old-school conservative entitlement, combining to create something so much weirder, and so much worse, that the result can collapse an entire culture. So let’s remind ourselves what’s at stake here. 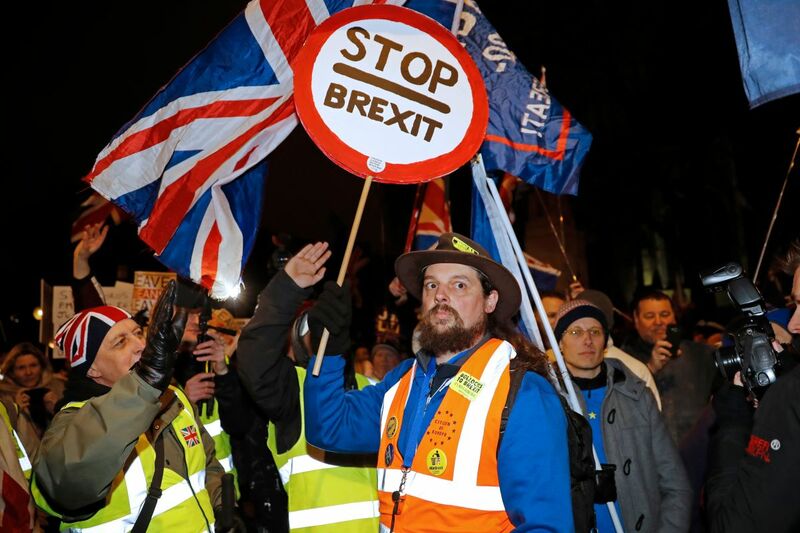 Let’s take a hard look at the worst-case, and right now most likely, outcome: a no-deal Brexit. In less than 60 days, Britain has to leave the E.U., and the difference between doing so with a deal and without one is the difference between being kicked out of a plane with and without a parachute. Here’s what no-deal Brexit means: it means an immediate and lasting recession. It means massive job losses. It means serious shortages of food and medicines. It means major businesses closing down. It means, ironically, the possible break-up of the United Kingdom, as the Scottish, who didn’t vote for Brexit, inevitably demand a second independence referendum. It means new violence along the Irish border. It means Britain losing its cherished place at the top table in the international community after we’ve definitively demonstrated that just because we once owned a lot of other countries doesn’t mean we can be trusted not to trash our own. It means that ordinary people, already reeling from nine years of brutal austerity, will find their lives collapsing, all in service of a rich man’s gamble. And if you wonder, why not just back out? We could stop this train if we wanted to. All it would take is for Parliament to turn around and admit that it got it wrong, and face the consequences at the polls. The E.U. will let us stay. The E.U. doesn’t want England to leave. Not because the rest of Europe likes us. They don’t. Why would they? We’ve been nothing but trouble, even before we pulled this tantrum. We never fully signed up to the spirit of the E.U., preferring to nurse our crabbed fantasies of the plucky little empire that could. But if Europe lets us leave, member states will feel the knock-on financial effects—and it will set a dangerous precedent that could lead to the break-up of the already fragile European bloc. At which point, the only person who goes home happy is Russian President Vladimir Putin. Brexit Britain is an object lesson in how a modern nation fails. This entry was posted in The Global Picture and tagged austerity, brexit, britain, wealth inequality. Bookmark the permalink. I am constantly amazed that people don’t make the connection between austerity and dissatisfaction with government. After all, they are supposed to work for you (paid by your taxes). It’s also why I don’t Canadians have a lot to complain about. I didn’t feel Harper touted austerity as the solution and know Trudeau didn’t as he expanded EI benefits. Oh that’s an interesting point about Harper! I’ve wondered about that since I consider him sorta Bush-light. But I’m not sure the U.S. really went into Austerity policies either. However not-investing in infrastructure, people, etc., is not too far from that, I suppose.